When City of Culture was first mentioned in Hull, it was the great unknown; in terms of what it meant for the city, what might be involved during the year, and what impact it could have on our great city. 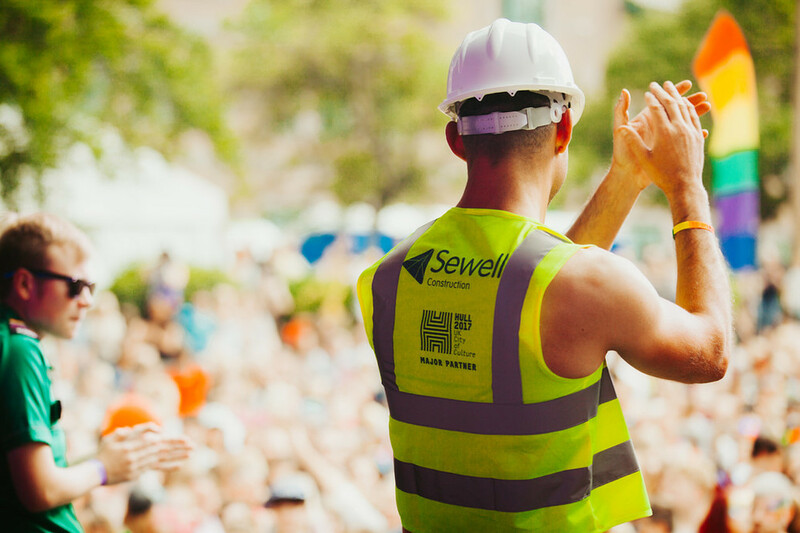 At Sewell Group, we threw our hat into the ring long before 2017 got underway, becoming a Major Partner and giving everything possible to play a big part in such a special cultural year. As we’ve worked our way through 2017 the impact on our city is clear, and the experiences created through events, performances and activities will stay with our people forever. Our business has embraced 2017 with open arms, giving many of our staff the opportunity to get involved in things they never imagined were possible. From starring in a film and becoming Presenting Partner for LGBT 50, to creating our own ‘Sea of Sewell’ photo and helping to create a home for the coveted Turner Prize, it’s been an eclectic mix of fun and making memories. We asked two of our team members at Sewell Group to reflect on 2017, and share some of their favourite memories of the year in their own words. A couple of years ago, the idea of being in a choir would have been way out of my comfort zone. But now, I’m a fully committed member of Ransom Notes – the Sewell Group choir! So many of my colleagues were involved and it’s something I never thought I would do, but Hull’s status as the UK City of Culture is about trying and experiencing new things, so I went for it and it’s been good fun. We’ve performed at various venues and events, which is definitely not something I thought I’d ever do. Before Hull was announced as the UK City of Culture, I’d seen what it had done for other cities and they got a lot out of it. I think it’s changed the way people treat and talk about their own communities, and they’re proud of where they come from. It’s given people a positive outlook and you can see the great impact it’s having just by the numbers of people turning up to events. I look after Sewell Group’s culture message boards too, outside our headquarters in Geneva Way in east Hull. The boards promote UK City of Culture messages to passing motorists and pedestrians, giving food for thought about each milestone of the year. I think they’re really good because they pick out the highlights of the year but also mean we can shout about things we’ve supported too. I’m really proud that Sewell committed to being a Major Partner and I feel proud of what it’s all done for Hull. I’ve lived in Hull all my life and this is the most amazing year for the city overall. A lot of effort has gone into it from so many different parties and people keep coming back. It’s given people a more positive outlook on Hull and we’re not just somewhere at the end of the M62 anymore. It’s fantastic. Before this year, we didn’t know how big it was going to be. But, as a business, we knew we definitely wanted to be involved. The first week in January blew everyone away and that was the first time I thought ‘wow, this is going to be amazing’. The hardest thing was to get people out of their comfort zone and go and see something different. The moment they did that, they loved it and had a fantastic time. I really liked the way Martin Green sold it. He said the promise he wanted from everybody was to grab the booklet and pick something you never dreamed of going to, which I have done. I must admit, some events left me wondering what they were about, while others were completely and utterly amazing. But that’s what it’s all about. 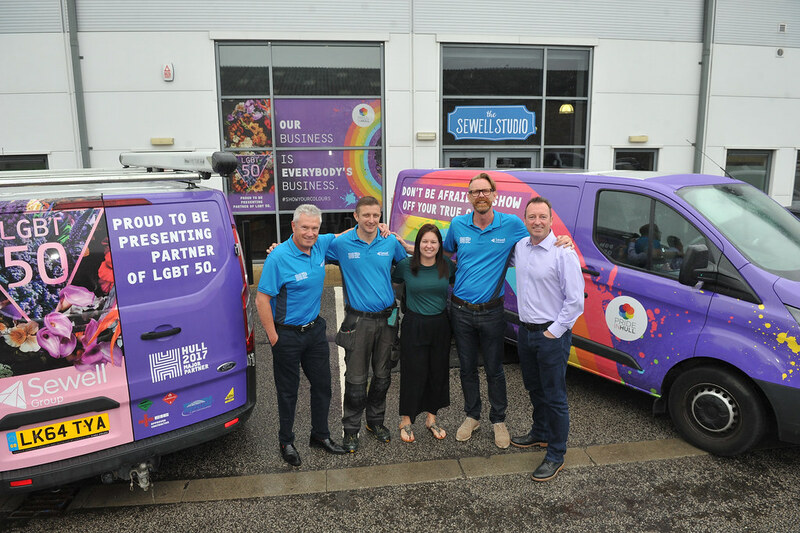 For Sewell Group, Pride and LGBT 50 was the event which got everyone involved. In particular, our retail staff at Sewell on the go absolutely loved it. The photos, the atmosphere on our sites and the way they embraced it was just amazing. I was really proud that so many people got behind it and that was the highlight of the year for me. Sewell was named as Presenting Partner for LGBT 50, which was incredible. We had rainbow flags on all our sites, we painted the steps in Queens Gardens in rainbow colours and our staff were there on the day, including dancing on the stage to YMCA. I was also really proud that we refurbished Hull New Theatre and I see that as a legacy from the Sewell Group in such a special year. The Royal Ballet and other shows which are taking to the stage now probably wouldn’t have been able to come to the city so soon without those changes and improvements. I watched the ballet in Queens Gardens and the atmosphere was fantastic. The video we had made to show the construction progress combined with ballet dancers was shown during the interval and it was fantastic to see. Hull 2017 has had such a positive impact on the city’s business community – it has put Hull on the map. People have heard of Hull now and they know where Hull is. Our fuel volumes are up this year, which I believe is City of Culture-related because that’s not something that’s reflected nationally. People are getting out more because they’re attending events. The Land of Green Ginger event I went to recently was packed. The car parks and restaurants were all really busy – City of Culture has brought so many visitors to Hull and to the region. Hopefully, this will continue long after 2017 and, who knows, it could open doors to new suppliers and opportunities for the Sewell Group and the rest of the business community in Hull. 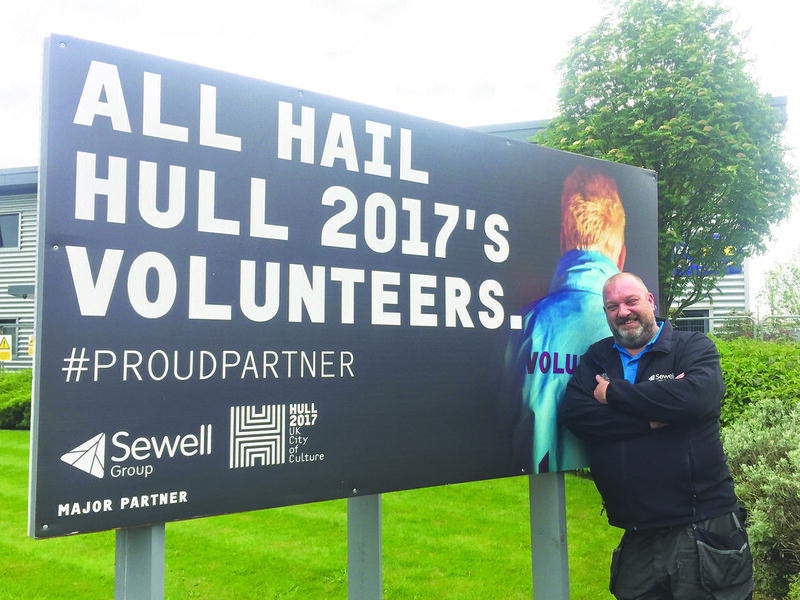 The impact it’s had on Hull and the wider region has been overdue and needed. People are proud to come from Hull again.